On the 28th of April the Birkbeck Institute for the Moving Image hosted “Clues, Histories, Mysteries and Mystories”, an event dedicated to essay films focusing on international, personal and familial history in the first-person mode; what was demonstrated by the films shown and the speakers arguments was the potential held by this specific form to probe and present suppressed and buried histories, both general and individual. 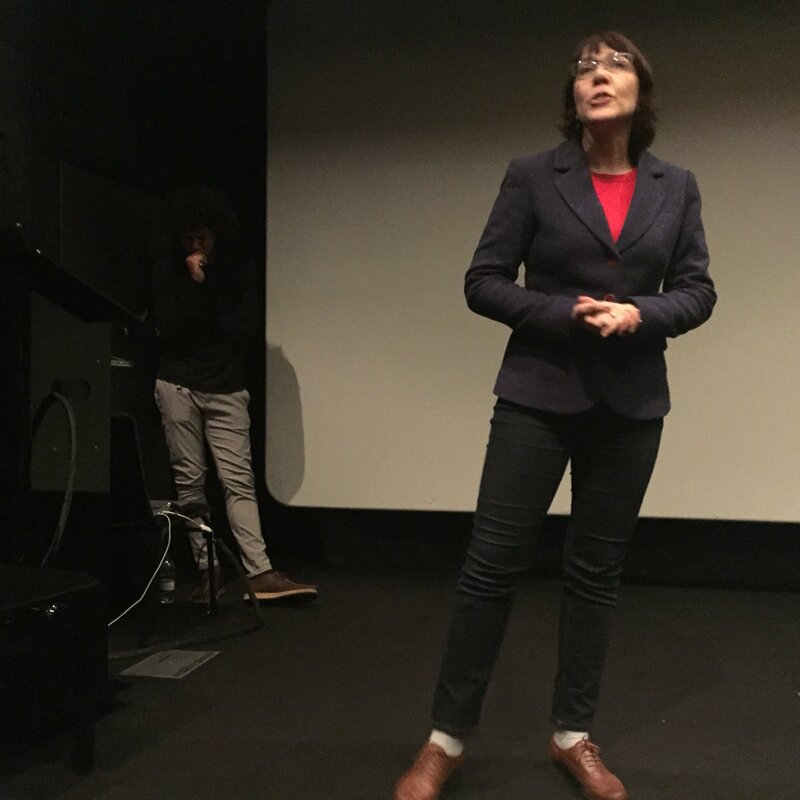 The event opened with an introduction from the chair Professor Catherine Grant, before a screening of San Sabba, a 2016 documentary by Dr. Romana Turina. Dr Turina followed the screening by discussing her work and showing excerpts from the related Lunch with Family (2016). San Sabba tells the story of the titular concentration camp, located in Trieste in Northern Italy. Dr Turina’s film and her subsequent presentation explained how the camp was established to hold and exterminate Slavic freedom-fighters, and how this fundamental aspect of the history of San Sabba has been suppressed by both the State and the location’s own subsequent museum in favour of a focus upon the camp’s later dual-purpose as a transit camp for Jewish prisoners soon to be transported to Auschwitz. Dr Turina explained how her rigorous investigation into this history had almost accidentally revealed her own familial relation to freedom fighter Vlado Turina (a cousin and close friend of her father, whom he had previously neglected to discuss), and lead her on a course of questioning and revelation in regards to her own sense of identity; Dr Turina’s alienation from Italian identity, tradition and culture and her sense of ‘otherness’ now beginning to crystallise in her newfound understanding of the historical background of her family’s (particularly her parents’) memories and experiences. Dr Turina explained her works as acts of ‘constructivism’, building short documentaries out of archival materials, disparate voiceovers reflecting different aspects of her own identity, models and animation and contemporary footage in order to attempt to bring to light and find adequate expression for all that which has been repressed and hidden, and that which is still uncomfortable, far from certain, in need of further examination. This ‘constructivist’ approach could also be seen in the work of the second guest, Professor Christian Keathley. Professor Keathley showed excerpts from his 1995 film Clues, alongside related materials and the trailer for his upcoming Signature Effect. Explaining his works relation to the ‘Mystories’ form as proposed by his mentor Greg Ulmer, Clues and Signature Effect form complex webs of related and inter-connected information and narrative, centred around the revelation of Prof Keathley’s true parentage in his teenage years, and bringing in the nature of the connection between Keathley and the English town of Keighley (the original form from which his surname derives), the works of film director William Keighley whose plots often drew upon issues of parentage, familial secrecy and outsider’s perceptions of such, the kidnapping of the Lindbergh baby, art theory and history (focusing upon the methods of detecting and identifying clues of authorship in paintings), Anglophilia and meditations on the detective genre film (embodied in Clues by different adaptations of The Hound of the Baskervilles). Prof Keathley noted that the fragmentation and layering of various narratives allowed for a personal distancing that proved the only way for him to approach his material and begin to untangle and explain his own history confidently. Following the screenings and presentations a panel discussion was held between Professor Grant, the two film-makers and Dr Silke Arnold de Simine. Debated by the panel were the concepts of post-memory, particularly in relation to atrocity, the transmission of history and shame between generations, the form of the first-person essay/Mystory film embodying Serge Daney’s ‘passeur’ figure (i.e. the bearer and passer of forbidden and occult knowledge) and the forms ability to explore the gaps between histories that cannot be reached or plundered by the traditional narrative film. A strong case was made for the importance and quality of the work being created by film-makers such as Keathley and Turina in spaces outside those traditionally supported by the film industry, the state and even academia. Professor Christian Keathley. Professor in the Film and Media Culture Department at Middlebury College, USA, Keathley received his Ph.D. in Film Studies from the University of Iowa, and his M.F.A. in Filmmaking from The School of the Art Institute of Chicago. He received a B.A. and an M.A. in English and Film Studies from the University of Florida. He is the author of Cinephilia and History, or The Wind in the Trees (Indiana University Press, 2006), and co-author (with Jason Mittell) of The Videographic Essay: Criticism in Sound & Image (caboose, 2016). Dr Romana Turina. Screenwriter, scholar, journalist, director. She has recently been appointed as Senior Lecturer in Screenwriting at the Arts University Bournemouth. Her 2016 film Lunch with Family was shortlisted for the Arts and Humanities Research Council’s 2016 Research in Film Awards in the Inspiration Award public category. Her essay films, created for festivals and online distribution, explore the essay film form as a medium for the expression of silenced history, memory and postmemory. Chair/Organiser: Professor Catherine Grant (Digital Media and Screen Studies, Birkbeck, University of London).